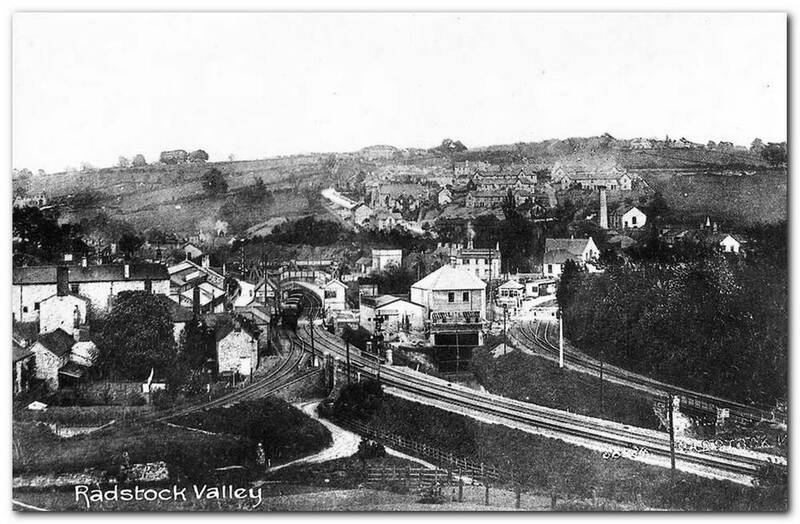 Radstock was a mining town once served by two railways. 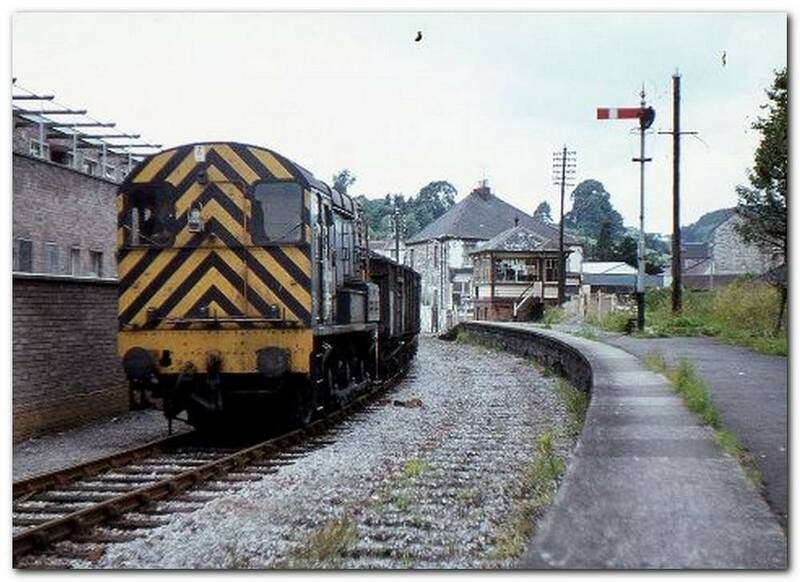 The S&D line and station can be seen pictured to the left and the GWR to the right. 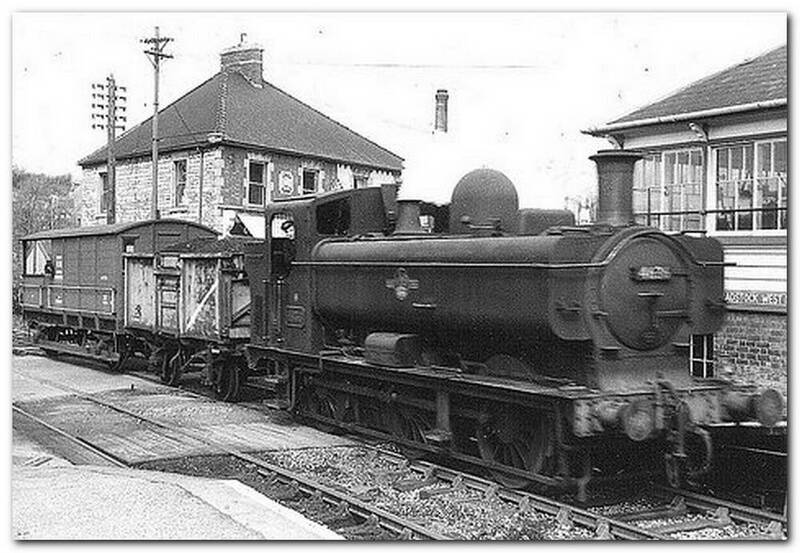 Radstock GWR railway land (Area 3) featuring the historic Brunel engine shed. 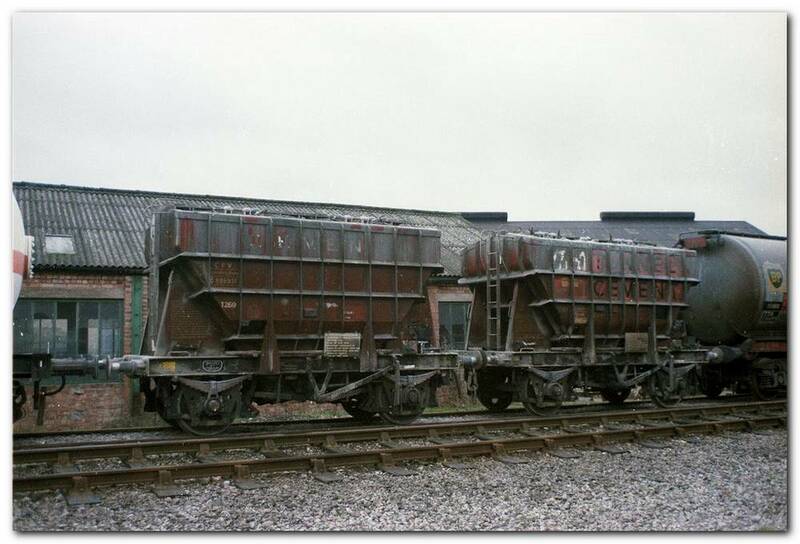 (Area 3) This photograph shows the vastness and the potential of the site as a future rail link, looking towards the former Marcroft wagon works. 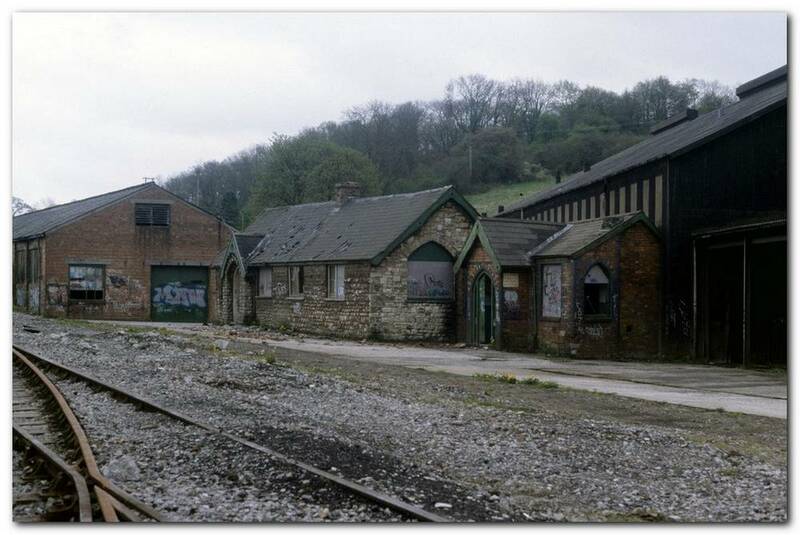 (Area 3) The Brunel engine shed looking towards Radstock, displaying a name board for the former 'Somerset & Avon Railway', now known as the North Somerset Railway. 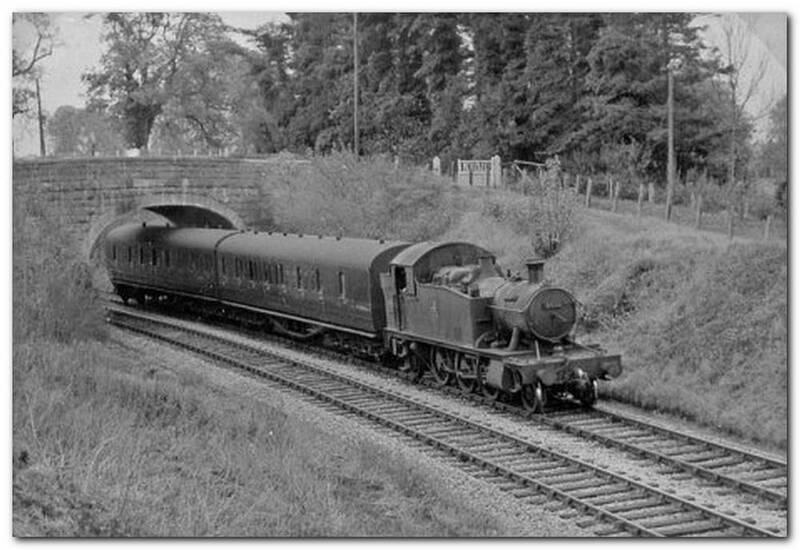 (Area 3) Railway track visible through the overgrowth at Radstock. 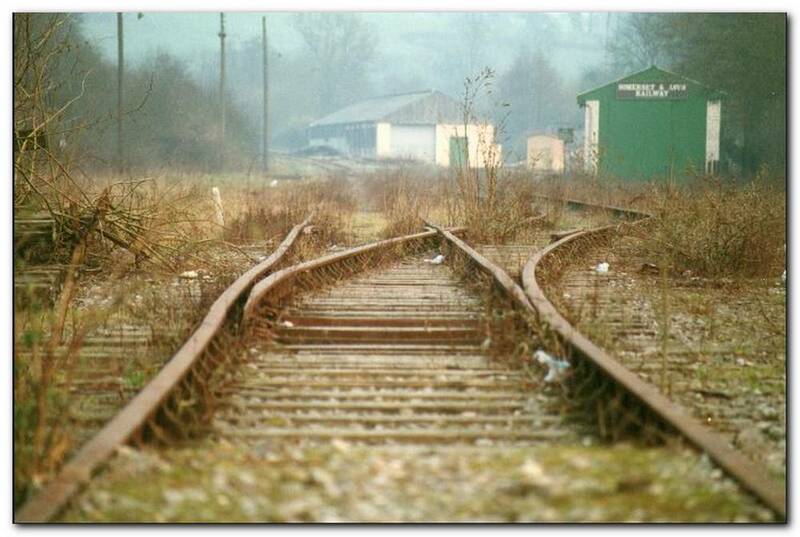 (Area 3) Continuous section of track running through the Area 3 site which if given the go-ahead by the Norton Radstock Regeneration Company will form part of the revived railway from Radstock to Frome. 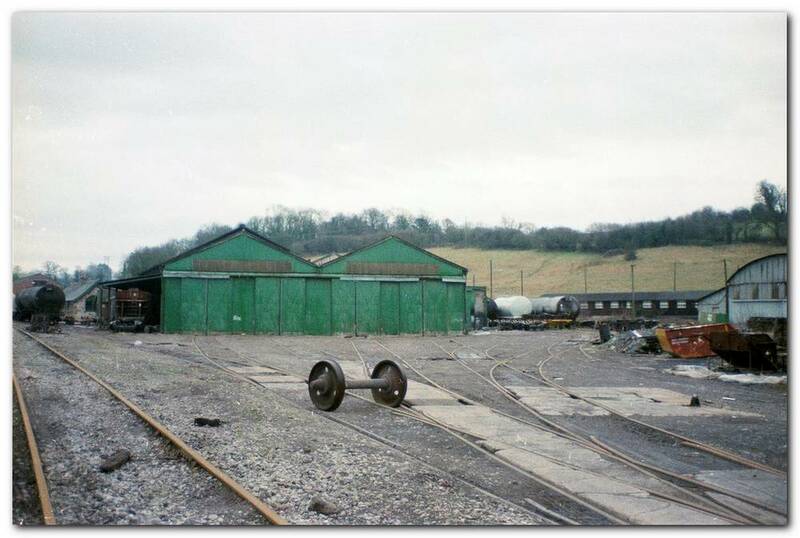 Radstock GWR railway land (post 1988) redundant track leading to the Brunel engine shed and former Marcroft wagon works buildings. 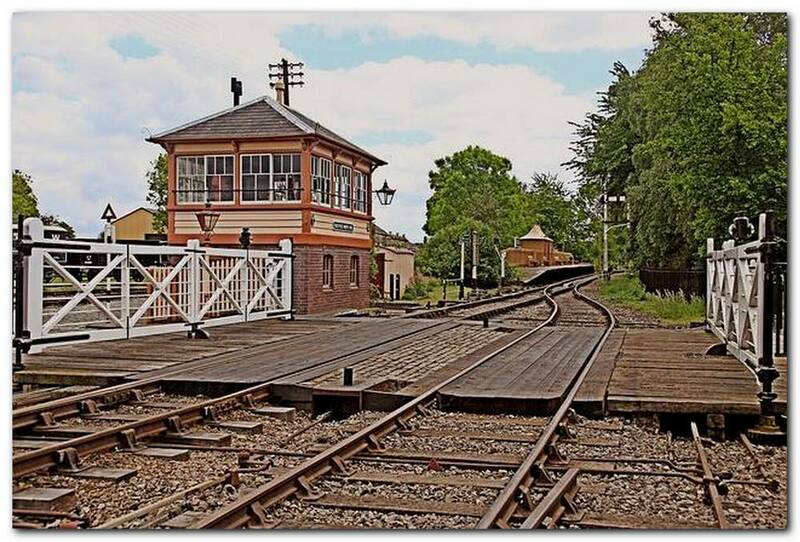 GWR Radstock West signal box which rescued and rebuilt by the Great Western Society at Didcot. 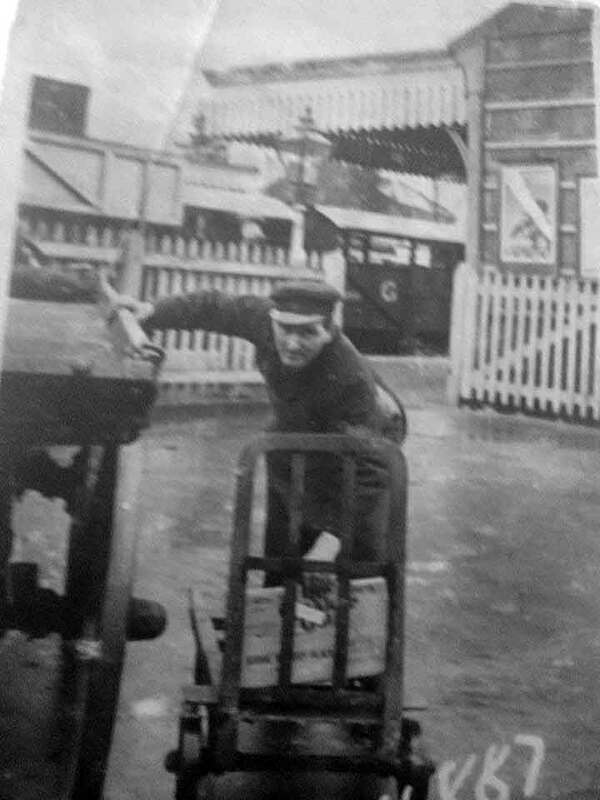 The Radstock West Station site (post 1963), note the former station building has been demolished (previously situated to the left) and the track singled. 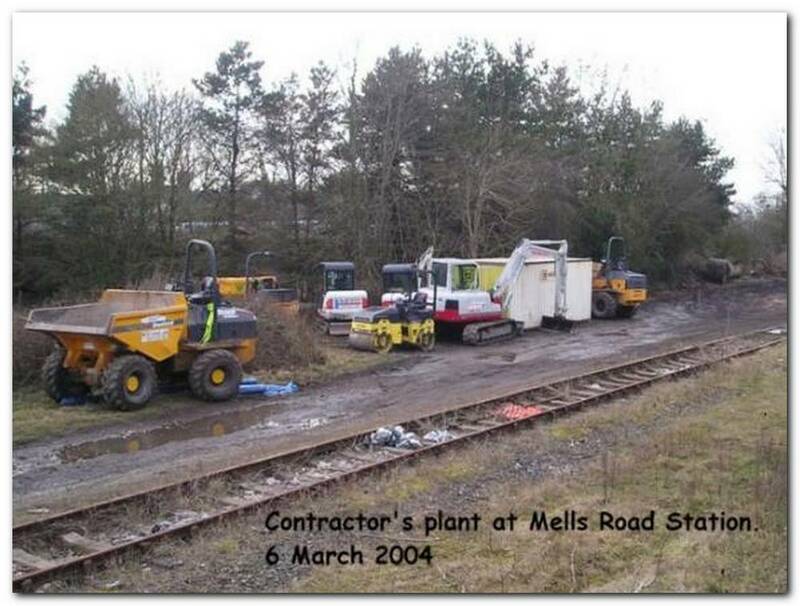 Featuring the construction of the Collier's Way cyclepath at the former Mells Road station site (6th March 2004). 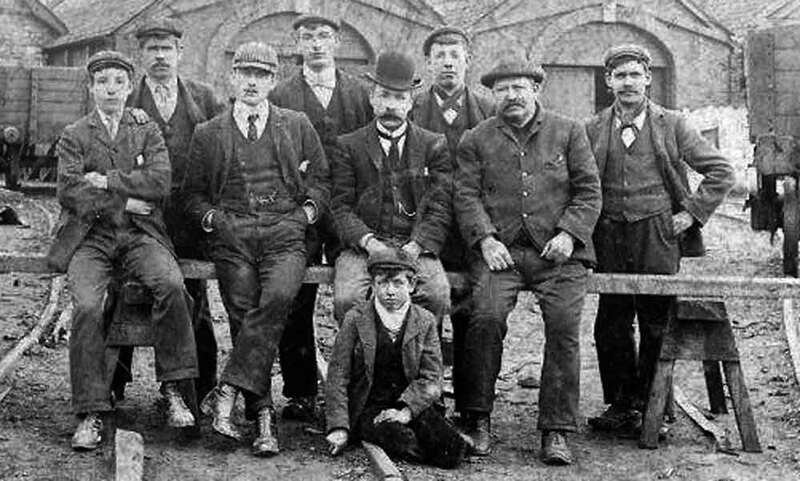 The former Marcroft wagon works site while still in operation. 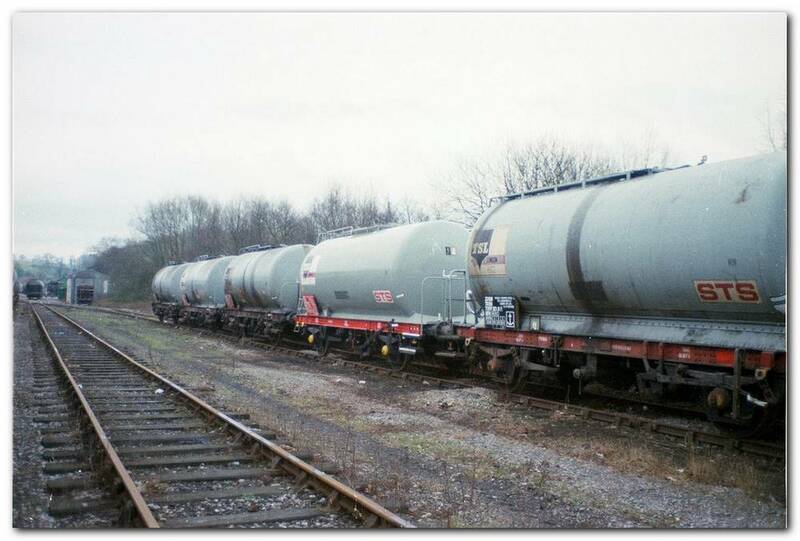 A rake of tankers awaiting repair at Marcroft's. Various Marcroft buildings after closure on June 29th 1988 having been vandalised and seen better days. 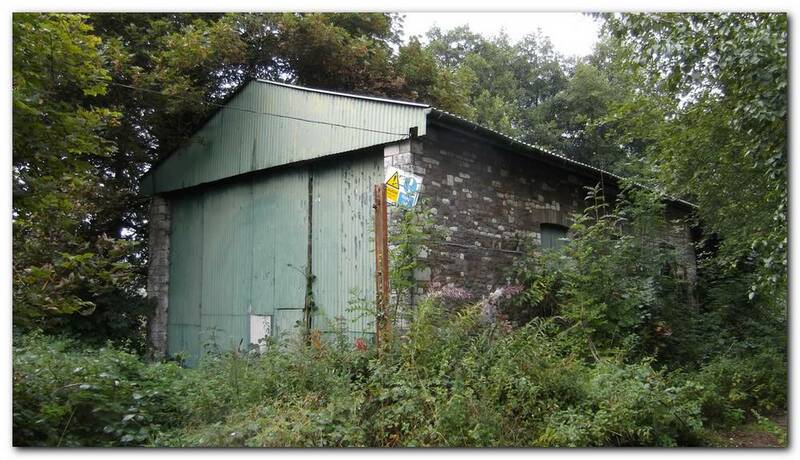 The four pictures above are part of the former Marcroft Wagon Works which occupied which is now area 3 of the GWR railway land. 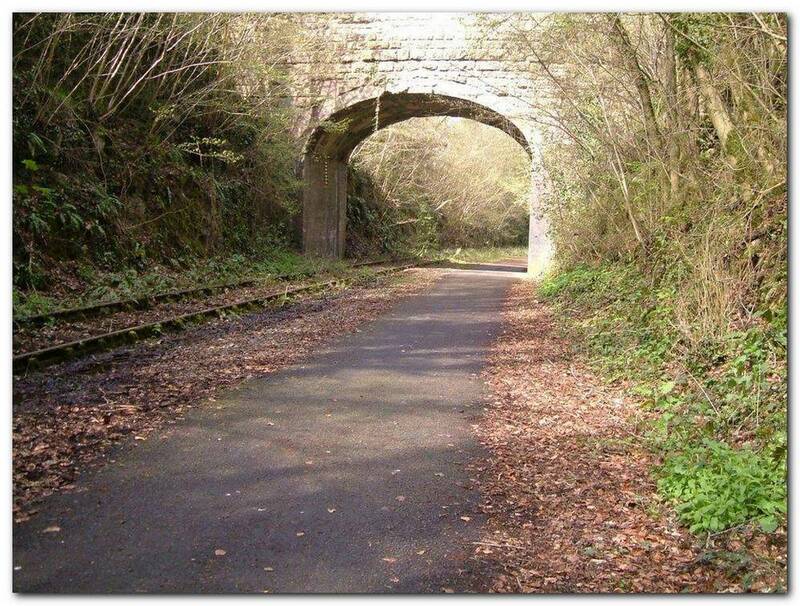 Conduit bridge near Mells today,the 8 mile section of track of Radstock to Frome still remains in-situ.